How Can You Get the Most From Your Marketing Automation Platform? Savvy digital marketing managers often use marketing automation tools to more effectively manage their online programs. But many don’t take full advantage of the products and services. In some cases, they are using the tools incorrectly; in other cases, they are not familiar with all the options. However, those who fully understand their marketing automation tools can use them to their full advantage, providing the right content to the right audience at precisely the right moment. Let’s start by looking at the basics. According to Wikipedia, marketing automation refers to software platforms and technologies designed for marketing departments and organizations to more effectively market on multiple channels online (such as email, social media, websites, etc.) and to automate repetitive tasks. Marketing automation focuses on defining, segmenting, scheduling, and tracking marketing campaigns. The use of marketing automation makes processes that would otherwise have been performed manually much more efficient and makes new processes possible. Common features and functions of marketing automation include email marketing, landing pages, campaign management, prediction/scoring, lead management, customer relationship management (CRM) integration, social marketing and marketing analytics, and reports marketing automation platform vendor Marketo. Simply put, the goal is to move leads from the top of the marketing funnel through to becoming sales-ready leads at the bottom of the funnel. And while marketing automation has typically been associated with business-business (B2B) marketers, eMarketer reports that business-to-consumer (B2C) marketers have started implementing platforms as well. Who are the top vendors? While there are many vendors in the field, various sources cite the following at the top marketing automation platforms (in alphabetical order): Act-On, Adobe, Eloqua, Hubspot, InfusionSoft, Intercom, Marketo, Oracle, and Salesforce. 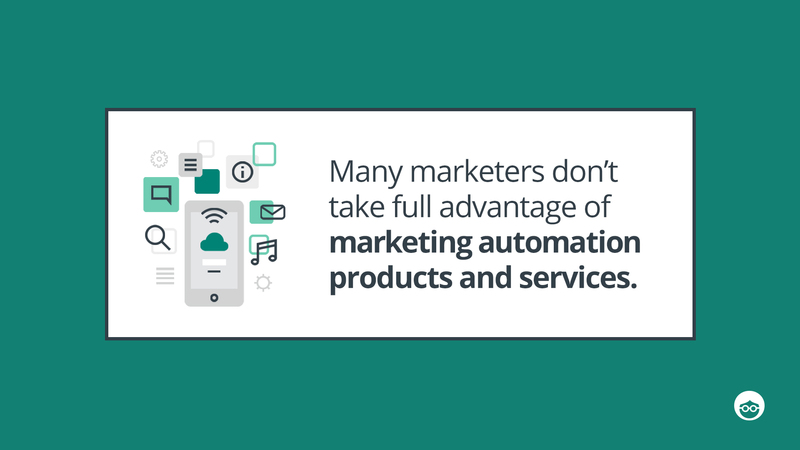 Some marketers are not taking full advantage of their marketing automation tools. Business2Community finds that while 78% of high-performing marketers indicate that automation tools have helped them increase revenue, 85% of B2B marketing professionals with an active marketing automation platform feel that they’re not using them to their full potential. These findings represent lost opportunities for marketers to connect with and nurture their relationships with customers. Onboarding: One of the reasons today’s marketing automation platforms are not living up to their potential, reports Business2Community, is a lack of understanding the system. Marketers either don’t get the training they need at startup or don’t have the time to invest in learning the intricacies of the new systems. To make the most of a marketing automation platform, marketers must understand the support the vendor will provide and commit to all training associated with the tool. Email: There tends to be an over-reliance on email. Salesforce reports that “99% of companies using marketing automation are really just doing email 2.0.” The company goes on to add that with ad blockers and spam protection, over-reliance on email is detrimental as individuals avoid unwanted emails, or spam. By focusing primarily on email, these marketers are missing out on connecting with audiences from social marketing campaigns, website landing pages and other channels. They can see improved results by expanding their focus to include other marketing channels as well. Sales funnel: Salesforce also notes that marketing automation primarily concerns itself with the lead to a qualified lead stage, which is stage 3 of its sales funnel. But the platform ignores the other levels including stranger to visitor (stage 1), visitor to qualified lead (stage 2), qualified lead to customer (stage 4) and customer to delighted customer (stage 5). The first two stages, says Salesforce, present opportunities that remain unexplored and unleveraged. In other words, there’s a lack of understanding around the customer journey, which represents missed opportunities. By expanding the focus to include individual in the earlier stages, marketers can generate additional qualified leads toward the end of the sales funnel. Lack of integration: In some cases, marketers find themselves unable to integrate their campaigns with the sales efforts. A SiriusDecisions study found that companies with marketing automation adoption but without any integration process in place have negative return on their investment. To reap the benefits of a marketing automation tool, marketers must make sure there is an integration process in place to communicate between the two divisions. Content: Shortage of content in the marketing automation process is a critical concern. Content marketing is typically used to drive customer acquisition, deeper engagement with current customers and brand awareness. The content itself is has an editorial focus, and while contextually relevant to a product or service, it provides information in the form of entertainment, education, emotional connection or practical value. 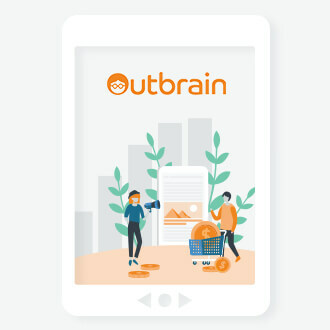 That’s why it’s so important for Outbrain to help clients develop an appropriate digital marketing strategy to capture the attention of the right person at the precise moment they are interacting with a brand. That, in turn, will improve the marketer’s success with marketing automation platforms. 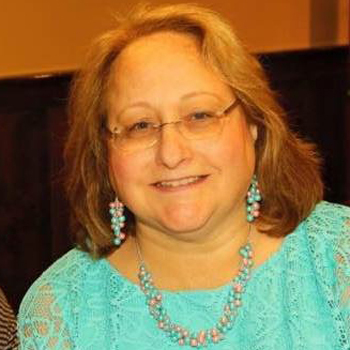 Susan Tunick Reiter is the founder of ReitersBlock.com, and provides writing, editorial and production services for Outbrain, Gartner, Chief Marketer, Promo, brandchannel.com and others.